Maranatha Volunteers International’s annual mission trip for high-school teenagers, coined Ultimate Workout, recently finished its 28th generation in Bolivia. A total of 167 teens and adults served at four locations in the Entre Ríos area from July 18-30, 2018. Every day, volunteer teams spread out to four different sites, each almost an hour away. More than 3,800 volunteers have participated in Ultimate Workout trips since 1990. 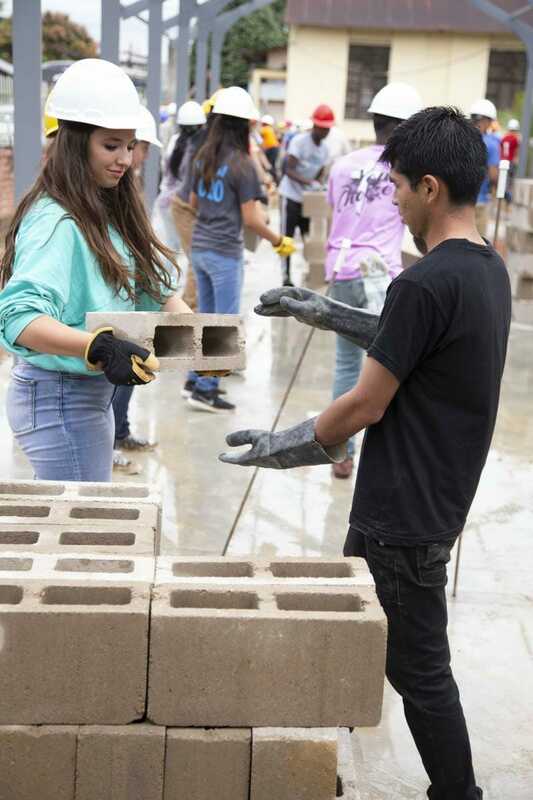 Each project allows teenagers to experience construction service, community outreach, and spiritual engagement. In Entre Ríos, volunteers laid block and excavated for new buildings at the Entre Ríos Adventist School. They also conducted a Vacation Bible School (VBS) children’s program at the Belen Seventh-day Adventist Church. At the Río Blanco Seventh-day Adventist Church, volunteers painted, constructed a property retaining wall, facilitated Vacation Bible Schools (VBS) programs for local children, and participated in community outreach. In Manco Copak, volunteers led VBS and conducted community outreach. Throughout the trip, the medical team rotated through each site, providing health screenings, dental care, and reading glasses to over 550 patients. Beyond daily service projects, teens were challenged to pursue a deeper connection to God. Brandon Westgate was tasked with the spiritual leadership of almost 100 teenagers. Participants pointed to the final Thursday evening as the spiritual climax of the trip. “Pastor Brandon made an altar call for baptism and teens started going forward,” recalled lead trip organizer, International Volunteer Manager Rebekah Shephard. “We were done with worship at that point. But we didn’t stop. Our music leader continued to play music and for another 45 minutes we just sang as people came forward, supported the ones who had made their decisions or sat with each other singing. Shepard confessed that she stood in the back thinking to herself, This is why I do Ultimate Workout. We were successful—young people met Jesus.